In Hear This, A.V. Club writers sing the praises of songs they know well—some inspired by a weekly theme and some not, but always songs worth hearing. This week, in anticipation of our great SXSW party on Friday, we’re highlighting tracks from some of the artists playing the show. Sylvan Esso’s self-titled debut doesn’t come out until May, but the duo—singer Amelia Meath and producer Nick Sanborn—have already made gentle Internet ripples with “Coffee,” a smoky little electro-pop song that looks sideways at a couple of familiar lyrics. Meath, who used to sing with the hauntingly folky Mountain Man, takes both “Get up, get down” and “My baby does the hanky-panky” to unfamiliar places, specifically a melancholy bridge between Portishead’s Beth Gibbons and Wye Oak’s Jenn Wasner. It’s a gorgeous twist, accented beautifully by Sanborn’s spare use of both electronic and organic sounds—from distant bass beats to a shaker. The song builds from a sparse focus on Meath’s voice to a warm, enveloping hum so smoothly you might not notice how full it gets until the music drops out. 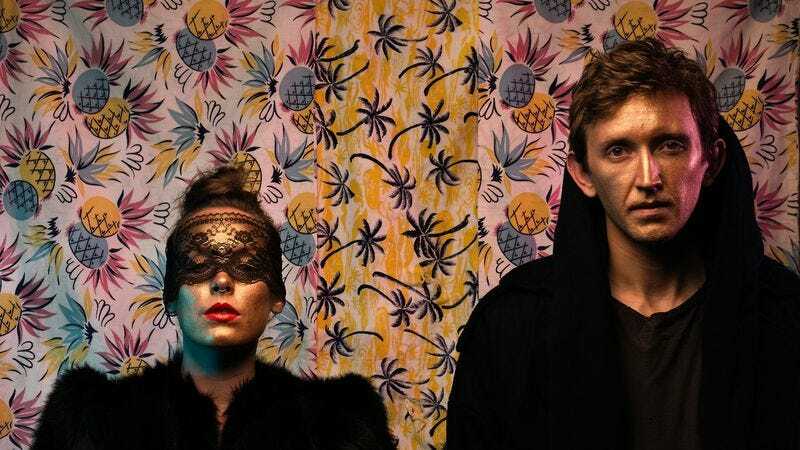 The record that it comes from will be making waves later this year, and Sylvan Esso is playing a bunch of shows at South By Southwest this year, including The A.V. Club’s daytime bash. After that, but before Sylvan Esso’s actual release, the duo will tour Europe as the opening act for both Wye Oak and Tune-Yards.